This petition has been created by Free West Papua C. and may not represent the views of the Avaaz community. The West Papuan people are crying for their freedom –please sign this petition to show your support. The world’s longest‐running military occupation and genocide has killed more than 500,000 people, and is destroying the world’s second‐largest rainforest and 50,000 years of civilisation. Why haven't more people heard of West Papua? Here’s one reason: it’s because the Indonesian government doesn’t want you to know. The country’s authorities are working hard to cover up their brutal occupation of West Papua. Indonesia has even criminalised the petition, banning Avaaz across the whole country. 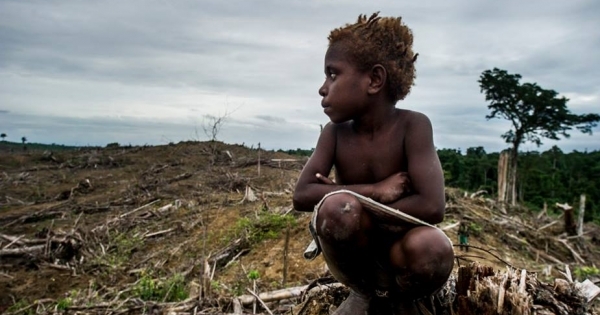 Please sign this petition calling on the UN to act urgently on West Papua, & join the voices of the 1.8 million West Papuan people who have risked their lives to sign it. West Papuans are crying out for international attention. The Indonesian government strictly controls media and NGO activity, allowing West Papua to avoid international attention and continue one of the most brutal “silent genocides” of the 21st century. Please sign this petition calling for an end to the genocide and a free and fair independence vote for the West Papuan people. In 1969, the Indonesian military marched 1026 West Papuans (0.2 of the population) at gunpoint to the voting station, and told to raise their hand at the right moment, or be shot. Many of their families were being held by the military. They all voted in favour of Indonesia. The West Papuan people have been fighting for their right for a fair & free referendum for 55 years. Since then, Indonesia has been occupying the area illegally, killing the indigenous population and bringing in the largest mining companies in the world who are stealing & destroying the natural resources. The people of West Papua have one of the highest poverty rates in the world, and continue to be denied basic freedoms. There is a real fear that without intervention they will lose everything. Add your name to the petition NOW! Thanks to growing international support, the struggle of the West Papuan people is getting more and more attention and there is hope. Now, they’re calling for your help to gain the freedom they were promised over 50 years ago. Will you add your name and help us to bring this urgent situation to the United Nations?